Candras of Hariketla around the Bay of Bengal. 8th to 11th century AD. Large silver bracteate. Denomination : Silver 1/2 unit bracteate. Date : These were struck between the 8th and 11th centuries AD. Size : 49 to 51 mm. Weight : 3.45 grams. Grade : gVF probably about how it looked when new. These are very large but very think coins and damaged very easily. It is unusual to find one like this that has not be crushed in areas, and is not cracked. 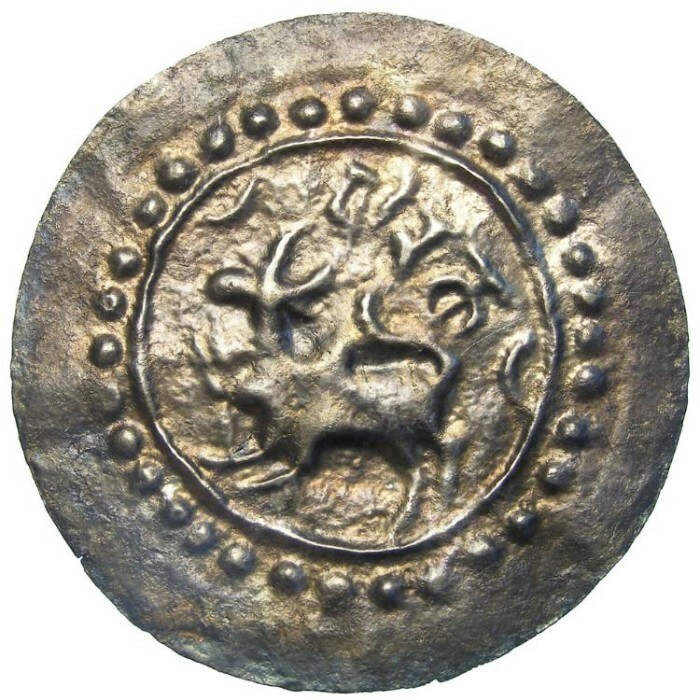 Obverse : Bull standing left with the name of the Kingdom in three letters above. Reverse : Incuse copy of the obverse.